In a time when the importance of the teachers in the school system is becoming even more evident, what are main challenges regarding supply and demand in this profession? How to become a teacher? Which support measures are available after qualification? Which career opportunities are available in this profession? And how are the educational systems facing up to the problems connected to these aspects? 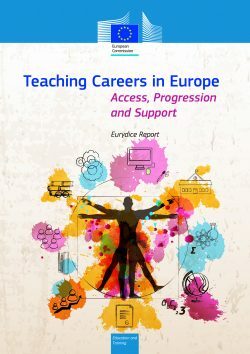 These are some of the questions answered by the latest report of the European network Eurydice “Teaching Careers in Europe: Access, Progression and Support”. The comparative analysis of national politics for teaching careers in Europe incudes 43 educational systems and explores different aspects of the teaching profession in primary and secondary schools. The main themes are: forward planning and main challenges in teacher supply and demand; entry to the profession and teacher mobility; induction, professional development and support; career development; and teacher Appraisal.